The Beatles sang about how “there are places you’ll remember all your life.” Nine-0-Five Royal is one of them. 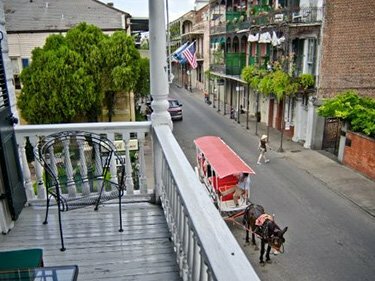 This intimate European-style boutique hotel oozes charm with its lovely period-piece furnishings and private balconies overlooking Royal Street. Each room offers a private entrance, daily maid service, a kitchenette, a coffee maker and a TV (after, all it only feels like it’s 1890). Tip: With only seven guest rooms and three suites, 905 Royal fills up quickly. Book early.